Whitespace Legal Collab's team enables our people, clients and outside experts to solve important problems, together. Sanjay Khanna is Director and Futurist of Whitespace Legal Collab by Baker McKenzie. The first futurist appointed to a global law firm, he consults with businesses, governments and civil society on big-picture challenges, such as artificial intelligence, climate change, future of work and smart cities. Sought out for actionable insight on social, technological, economic, environmental and political trends, Sanjay has been a strategy consultant to Insurance Bureau of Canada and Centre for Social Innovation’s Agents of Change: Climate Solutions Program. Ford Motor Co.’s chief futurist invited Sanjay's contributions to Ford Trends 2017 and Ford Trends 2018. He was a founding member of the Loblaw Food Council, launched in 2016 by Loblaws, Canada's food and pharmacy leader. 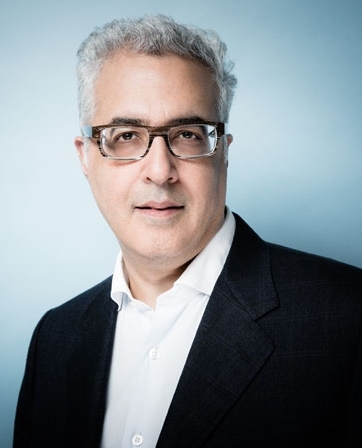 Media outlets featuring Sanjay include The Globe and Mail, CBC’s The Current, and AMA Quarterly, the journal of the American Management Association. Lisa Douglas is Counsel who works with the Collab. She has extensive experience addressing wide-ranging issues involving commercial law, regulatory compliance and information management. Her practice focuses on information governance drawing on a rich background in knowledge management, legal research, library and information technology to provide compliance advice on the enterprise information life cycle. Lisa provides clients with legal, regulatory and best practice guidance necessary to manage their enterprise information (data, records) in a proper and legally compliant manner. More specifically, she advises clients on cross-border data transfer, electronic records, global records management, lawful access, freedom of information, privacy and related information management issues. Recognized for leading and mentoring up-and-coming talent, Lisa has recruited top-notch multidisciplinary thinkers and doers to Baker McKenzie—and to the Collab—through well-cultivated university relationships. Daniel Logan is a Partner at Baker McKenzie who works with the Collab. Recognized by The Financial Times in 2015 as a leading North American innovative lawyer, Daniel's practice is focused on complex IT transactions, with particular expertise in the financial services sector involving fintech work. 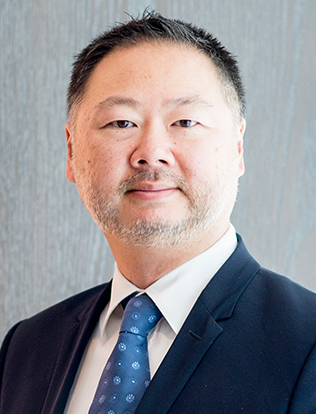 He is highly regarded for work on clients’ sophisticated outsourcing transactions, technology licensing and IT procurement arrangements, and on more complex e-commerce agreements, such as those involving big data and cloud computing. In addition, Daniel has developed alternative legal processing solutions for clients in the areas of compliance and commercial contract management using data analytics models. He is a former director and Executive Committee member at the Centre for Outsourcing Research and Education (CORE). Dera Nevin is a Senior Associate at Baker McKenzie who works with the Collab. Dera pioneered the use of technology-assisted review and multi-lingual search in e-discovery, managing review and production totals of more than 500 million records. Her legal, operational, program and people management experience encompasses all aspects of e-discovery in civil, criminal, regulatory and M&A transactions and in internal investigations, including trans-border e-discovery. She has experience developing, implementing and incorporating the use of technology into legal services delivery. Admitted to New York and Ontario (Canada) bars, Dera speaks, writes and comments on key topics related to innovation and technology enhancement in legal service delivery, electronic evidence management, information governance, international transmission of data and the law of privilege and privacy in the management and exchange of electronic records. Dera’s articles have been published in in the Association of Corporate Counsel Magazine, Legaltech News and Canadian Lawyer.